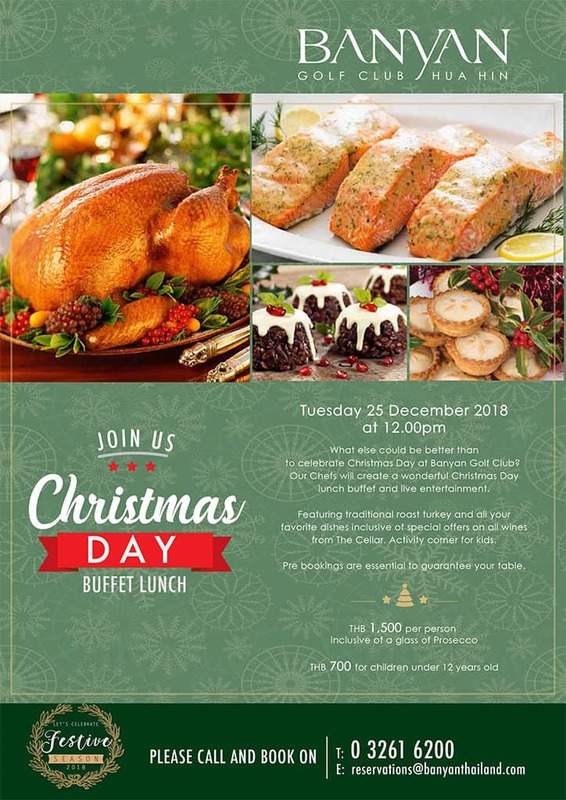 What else could be better than to celebrate Christmas Day at Banyan Golf Club?Our Chefs will create a wonderful Christmas Day lunch buffet and live entertainment. Featuring traditional roast turkey and all your favorite dishes inclusive of special offers on all wines from The Cellar. Activity corner for kids. Pre bookings are essential to guarantee your table.